The HTC Wildfire is a budget Android smartphone with more than a passing resemblance to its larger cousin, the HTC Desire. 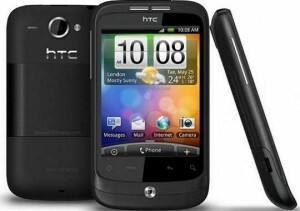 The touchscreen handset runs Android 2.1 (Eclair) with the user-friendly HTC Sense UI. The Wildfire is basically a Desire Lite (or Mini), with all the utility of HTC's Sense software and the open nature of Android, but with a smaller screen. It's next in a line of evolution from the HTC Tattoo. The Wildfire is aimed at the younger generations - evident when you see that the marketing mostly contains references to Facebook and Flickr. Oh, those social young things. Do you already own a HTC Wildfire? Review it now below!